Scan Turbo’s work force of highly qualified service technicians has many years of experience in servicing all types of turbochargers. We are equipped with the most advanced service material. Our specialty is to overhaul and service all ABB, MAN, Mitsubishi, Napier and Bannewitz turbochargers. Each rotor undergoes comprehensive inspections and tests. Imbalances will be corrected after a thorough check on our computerized Schenck balancing machine. We are well aware of the fact, that shipping is a 24 hours and 7 days industry and are more than ready to meet its challenges. No matter where and when you should need us – the qualified Scan Turbo service teams will respond to your needs fast and straightforward. We will help you in meeting your tight deadlines – everyday around the world. We even offer our clients a special overnight service guarantee. The flexibility and commitment of our entire team ensures that no precious time is wasted. Seamlessly integrated teamwork is one of scan turbo’s important benefits. Only the most qualified and well trained personnel is authorized to work on location around the world. All turbochargers received for overhaul are completely dismantled and cleaned with all the necessary measurements being taken. If it is necessary, parts will be replaced. Precision is our mission, hence all work performed by Scan Turbo is documented and repair records are maintained for future references. The damaged rotor blades will cause a significant loss of charge pressure and engine performance. Scan Turbo’s repair procedure is called tig (tungsten inert gas) welding. Finally all welded blades are checked for cracks using uv/penetrant inspection to ensure top quality and highest performance. So if you are interested in quality work and reasonable prices, don’t hesitate to contact us – anytime. Our workshop is well equipped with all needed special tools for disassembling, measuring, investigation, reassembling and recondition. For balancing we have five Schenck palancing machines and factory trained staff for operating. 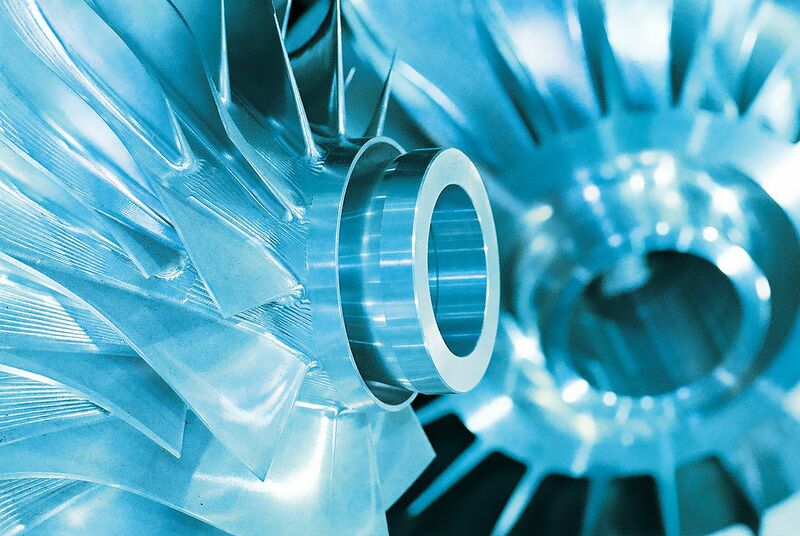 Our workshop is GL-certified for reconditioning turbine blades. For your reference we are working close together with following companies: John T. Essberger | MAN Diesel & Turbo Hamburg | Harren und Partner | Reederei Hartmann | Sloman Neptun | SAL Heavy Lift | Reederei-Verwaltung Heino Winter | Reederei Claus Peter Offen | Reederei Drevin | UPAG | Zeppelin Power Systems. Avoiding damage, minimizing costs and minimizing costs are pleasant side effects if you include us «in good time» in your project planning. Our excellent measuring equipment allows us to do without the removal of «hard or soft coatings». Therefore, the work is done quickly and consistently by us. For assessments and procedures in the context of the entire process, our team draws on more than 10 years of professional experience. Since we belong to no shipyard, our team can always work freely and independently and always keep the interests of the customer in focus. Whether class renewals, CAP surveys, intermediate surveys or internally aimed measurement work – they are no problem for us. The preparation and reporting in the respective class-specific TMs is always part of the project implementation. A team of dedicated professionals committed to exceeding your expectations.